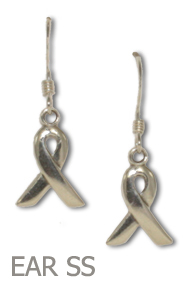 All Cause awareness anklets and necklaces represent a variety of commonly found cancers and causes. 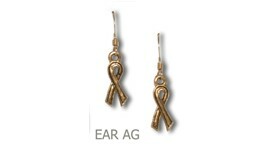 Sterling silver or Antique Gold earrings represent general awareness. Multi-colored faceted transparent beads with a sterling silver ribbon bead and spacers on jeweler’s elastic. Available in two sizes. Multi-colored opaque round beads with a sterling silver ribbon bead and spacers on jeweler’s elastic. Available in 2 sizes. 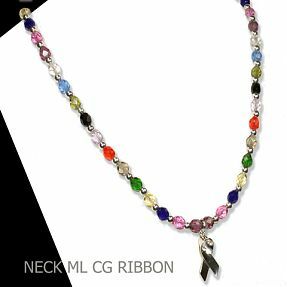 Multi-colored opaque faceted transparent beads with a sterling silver ribbon charm, spacers and extender chain with lobster clasp. Length is 18” to 20”. 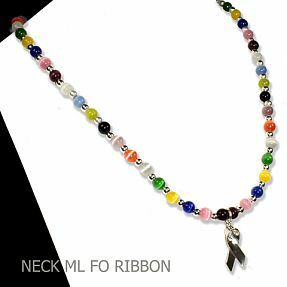 Multi-colored opaque round beads with a sterling silver ribbon charm, spacers and extender chain with lobster clasp. Length is 18” to 20”. 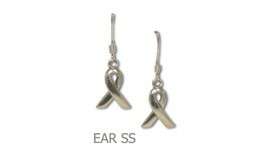 Sterling silver awareness ribbon charms dangle from sterling earwires. 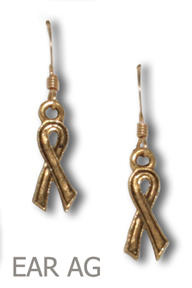 Antique gold lead-free pewter awareness ribbons on gold filled earwires.